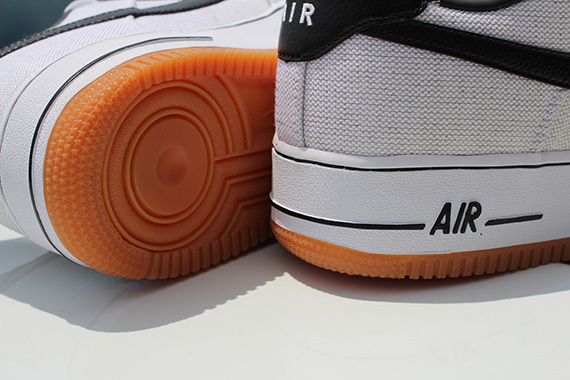 We’ve seen a lot of low-top, gum soled Air Force 1’s in the past couple of weeks, and these might be the most exciting. A fresh take on the classic silhouette, these bad boys feature an all new “canvas” colorway that is sure to spice up any outfit you might have thrown a pair of all-black or all-white’s on with. Accented via white laces and a black lining, heel and swoosh, there is plenty to snag your eye on these classic. The bold canvas upper, a nice diversion from the all leather look, is as durable as it is easy on the eyes. 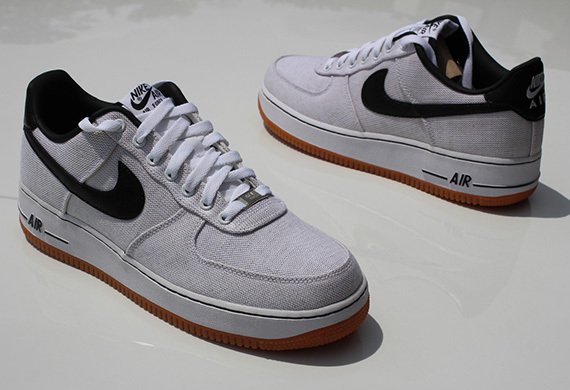 Expect to see these AF 1’s hit shelves June 15th, and be sure to check our Facebook, Twitter and Instagram for future releases. More photos after the jump.